The Mid-Tier Advocacy (MTA) was established to work toward the elimination of the competitive disadvantage facing small emerging and mid-tier government support services companies. A nonpartisan organization, MTA lobbies for the recognition of mid-tier businesses as an industry-size category between large and small businesses. They are a national business alliance that represents the nation’s top small emerging and mid-size firms. 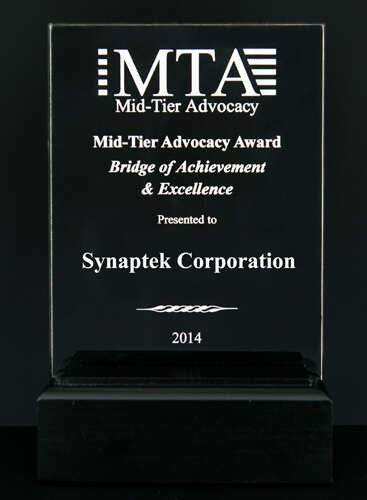 The Mid-Tier Advocacy “Bridge Award” is awarded to bridge builders and those who are making their way across. Crossing that bridge sometimes means engaging the support of others and occasionally it means reaching back to help someone else cross a bridge.